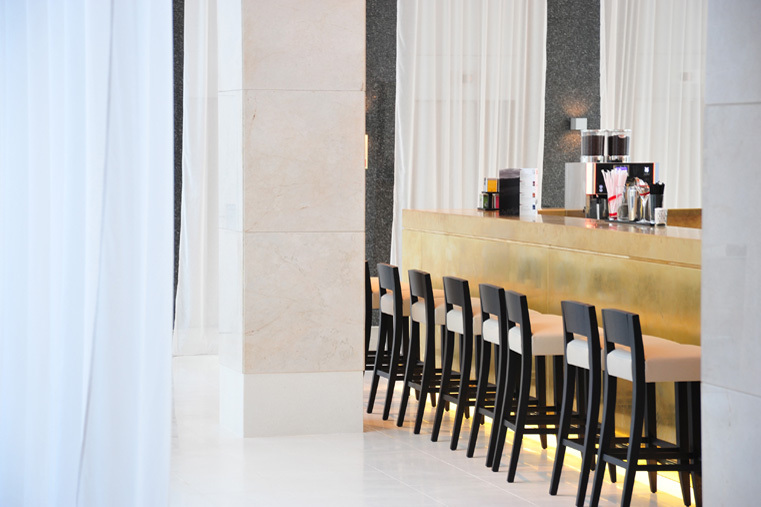 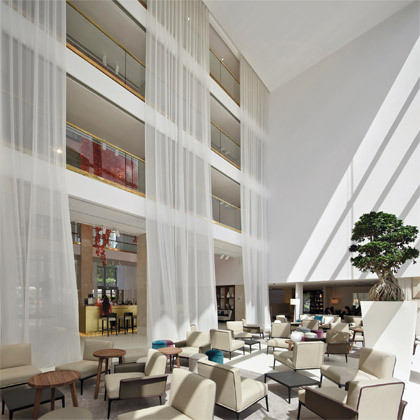 The redesign of the public areas of the Hilton Hotel on Avenida Diagonal by Matteo Thun & Partners creates a new iconic place in the city of Barcelona. 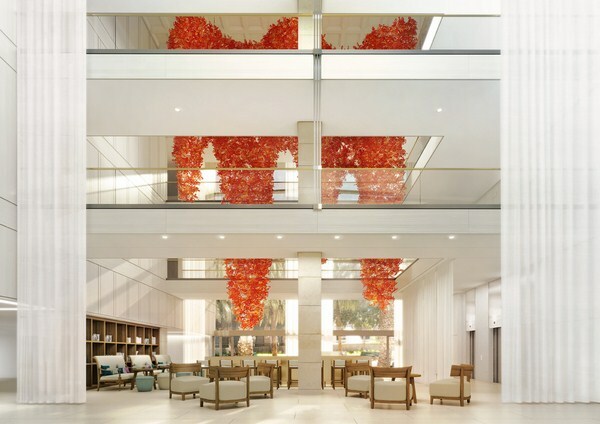 A spectacular entrance atrium features a suspended sculpture installation in bright red-coral color, created by the designer-artist Jacopo Foggini. Despite its size and true weight, it gives the impression of lightness and transparency. This floating element contrasts with the predominantly white minimalist surroundings that define an open, dynamic and adaptable space. 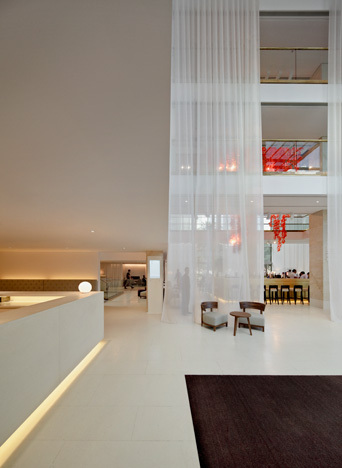 The hotel becomes a ‘dynamic open space’ to match with different needs of a constantly changing society. 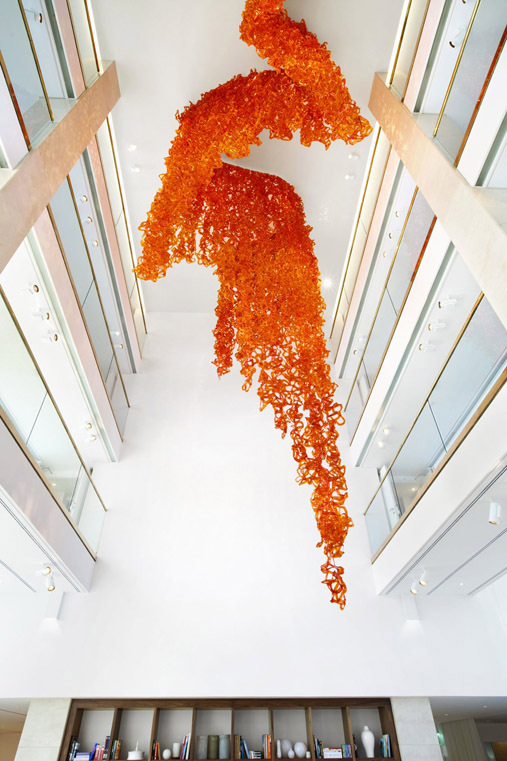 The result is a fluid design. 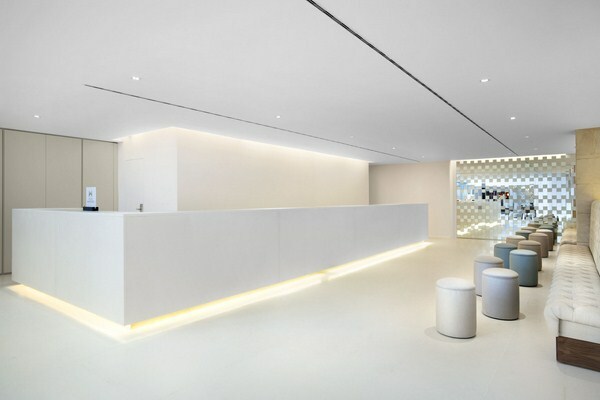 The fulcrum of this fluid dynamism is the large lobby, which adapts to different activities. 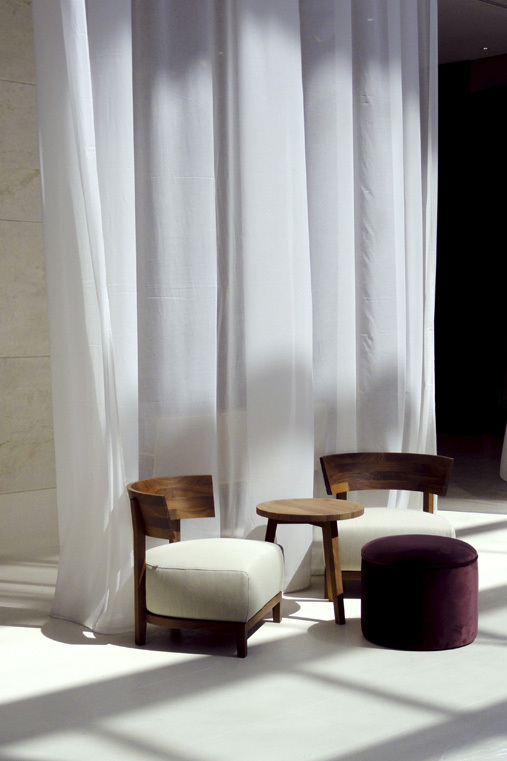 Matteo Thun and Partner’s created a hall with flexible spaces, eclectic furnishing and multifunctional design. 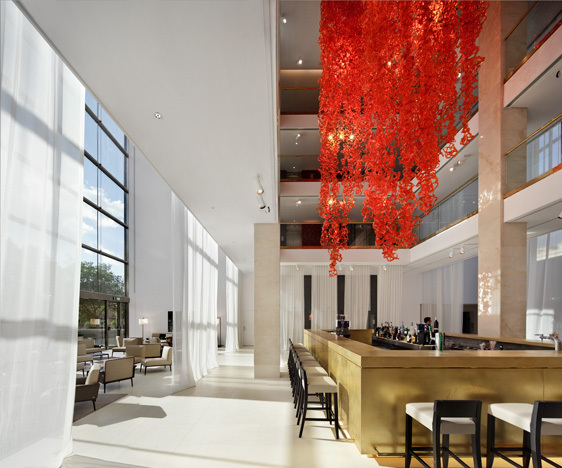 The space can adapt to all forms of hospitality and events, from business meetings to art exhibitions. 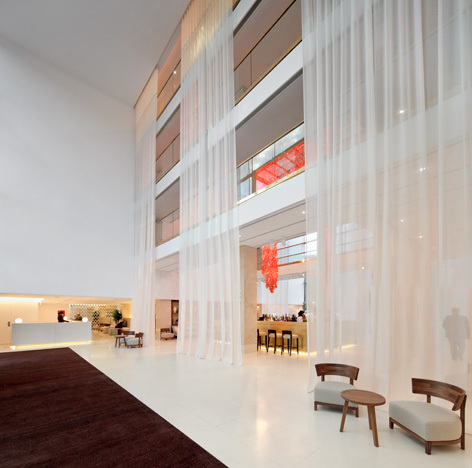 While maintaining the static architectural shape of the building and by conserving its original character and appearance the lobby becomes an airy space with 15 m full height. 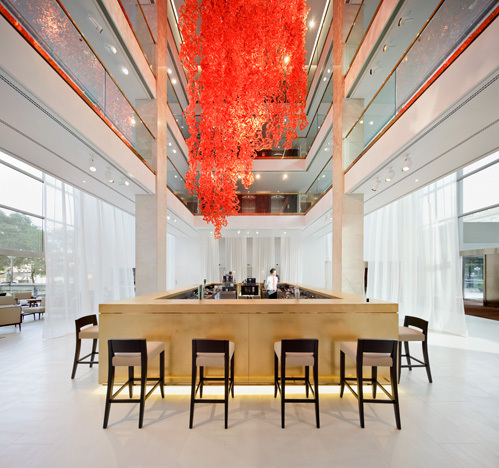 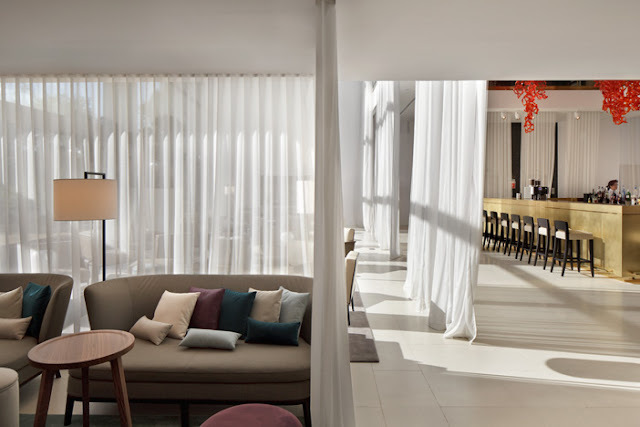 The bar forms a continuous, flexible zone composed of different parts that can be subdivided with translucent drapes. 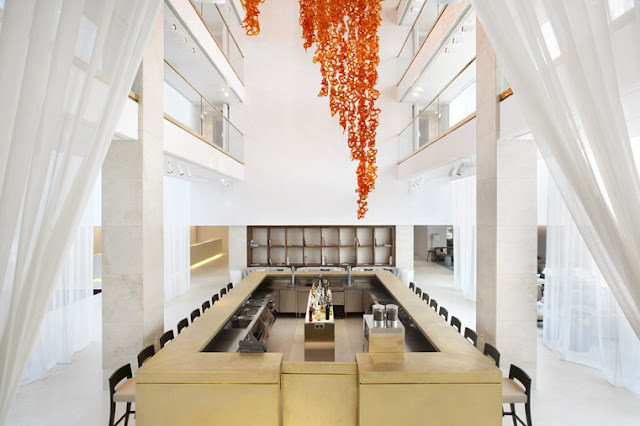 On the top of the bar guests will admire a dynamic Art installation, a perfect contrast to the immobility of the architecture, made by acrylic, translucent material, creating a unique wow factor.